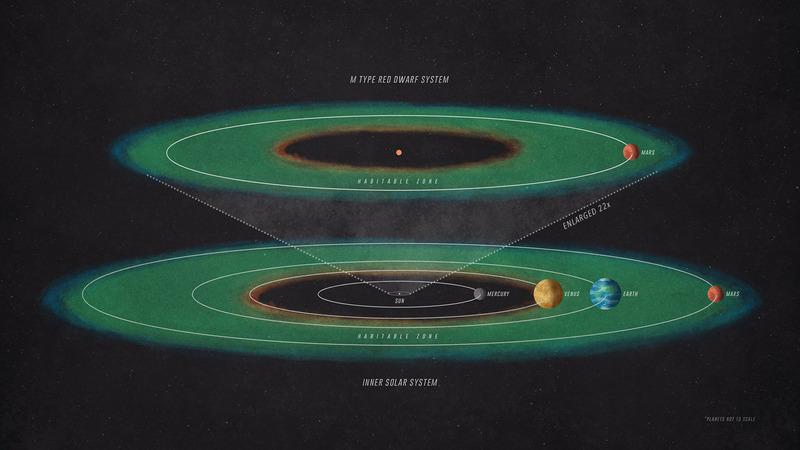 December 13, 2017 – How long might a rocky, Mars-like planet be habitable if it were orbiting a red dwarf star? It’s a complex question, but one that NASA’s Mars Atmosphere and Volatile Evolution mission can help answer. At the fall meeting of the American Geophysical Union on December 13, 2017, in New Orleans, Louisiana, Brain described how insights from the MAVEN mission could be applied to the habitability of rocky planets orbiting other stars. MAVEN carries a suite of instruments that have been measuring Mars’ atmospheric loss since November 2014. The studies indicate that Mars has lost the majority of its atmosphere to space over time through a combination of chemical and physical processes. The spacecraft’s instruments were chosen to determine how much each process contributes to the total escape. In the past three years, the Sun has gone through periods of higher and lower solar activity, and Mars also has experienced solar storms, solar flares and coronal mass ejections. These varying conditions have given MAVEN the opportunity to observe Mars’ atmospheric escape getting cranked up and dialed down. Their calculations indicate that the planet’s atmosphere could lose 3 to 5 times as many charged particles, a process called ion escape. About 5 to 10 times more neutral particles could be lost through a process called photochemical escape, which happens when UV radiation breaks apart molecules in the upper atmosphere. 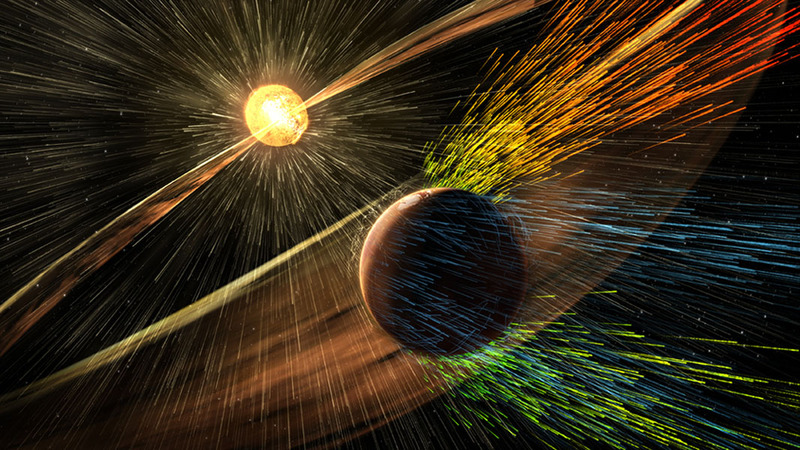 “Habitability is one of the biggest topics in astronomy, and these estimates demonstrate one way to leverage what we know about Mars and the Sun to help determine the factors that control whether planets in other systems might be suitable for life,” said Bruce Jakosky, MAVEN’s principal investigator at the University of Colorado Boulder. MAVEN’s principal investigator is based at the University of Colorado’s Laboratory for Atmospheric and Space Physics, Boulder. The university provided two science instruments and leads science operations, as well as education and public outreach, for the mission. NASA’s Goddard Space Flight Center in Greenbelt, Maryland, manages the MAVEN project and provided two science instruments for the mission. NASA’s Jet Propulsion Laboratory, a division of Caltech in Pasadena, California, manages the Mars Exploration Program for NASA’s Science Mission Directorate, Washington. Lockheed Martin Space Systems of Littleton, Colorado, built the spacecraft and is responsible for mission operations.